Applied for painting miniatures, fingertips, face painting, art painting, etc. 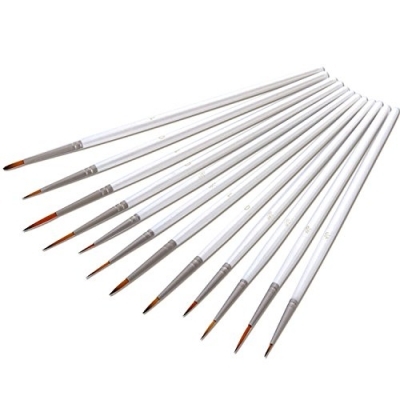 Mudder detail Paint Brush Set with 12 sizes, made of finest synthetic hair, good for oil, acrylic, and watercolor. Applied for painting miniatures, detailing, army painter, face painting, art painting.